The organisers of the Coachford Autumn Festival have announced that they will be hosting the first ever 5 Mile Road Race in the village on August 16th. The road race which is approved by the Athletics Association of Ireland and sponsored by Sorrel Physical Therapy and Fitness will see runners begin at the GAA complex in Coachford and complete a loop of the area taking in Nadrid, the village and Knockanowen before finishing again at the GAA grounds. Chairman of the festival, Tadgh Murphy said, “ Although this is our first time organizing a road race we are really looking forward to adding a new event to the festival programme. We are very fortunate to have Ciara Murphy and Sorrel Physical Therapy and Fitness on board to help in supporting the road race. The route is ideal and although there are two moderate climbs the majority of the route is flat. Road racing is very popular in the area and many individuals are already in training for the race. It would be impossible for us to organise this without the help and cooperation of Aghabullogue GAA and the use of their fabulous facilities in Coachford.“ Registration for the event takes place from 6.00pm in the GAA complex and there will be prizes for the various categories racing. 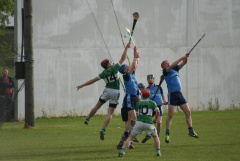 The Aghabullogue intermediate hurlers are looking to secure their spot in the draw for the fourth round of the county championship when they face North Cork side Meelin in Mallow this Sunday at 2.30pm. The boys have been training hard since they lost the first round game to Barryroe at the start of June and have recorded a league win over Kilbrittain recently. 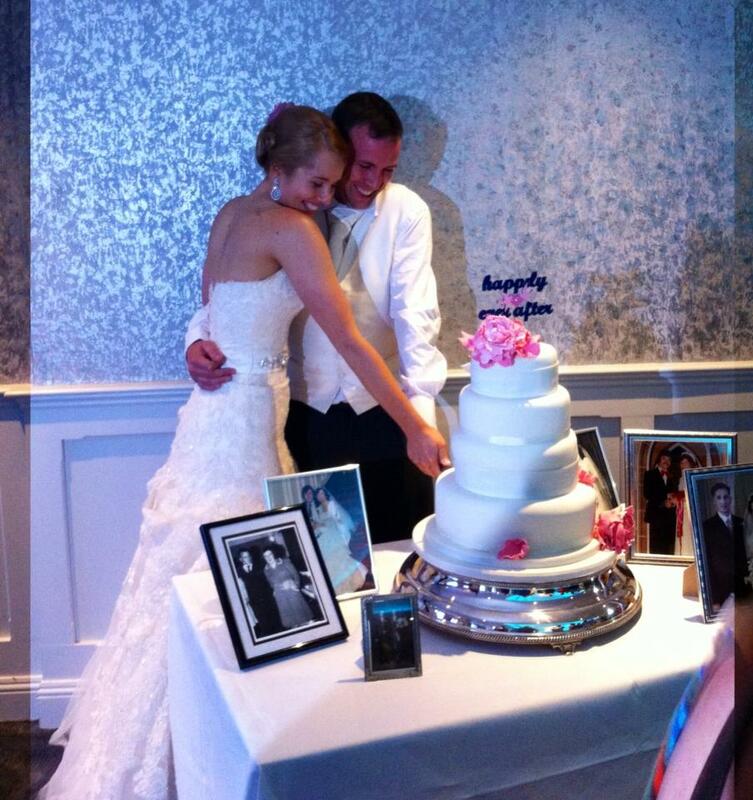 Congratulations to Coachford man Stephen Buckley and his Australian bride Alexis Oswald who were married in Coachford last weekend. Stephen met Alexis on Ladies Day at the Melbourne Cup three years ago and fell instantly in love with the girl from Adelaide. The couple enjoyed a beautiful wedding in Coachford and a wonderful reception at Dunmore House outside Clonakilty. Many of Alexis’s family came from Australia to celebrate with the happy couple and the couple’s Irish and Australian friends were also in attendance. Alexis’s twin sister Kate was Maid of Honour and Stephen’s friend Stephen O’Sullivan from Donoughmore and Melbourne was his Best Man. Stephen and Alexis will holiday in Europe before returning to their lives and work in Melbourne. Long serving Chairman of Coachford AFC, Thady Delaney has stepped down from his position after overseeing what was one of the clubs most successful seasons in the clubs 43 year history. Glowing tributes were paid to the Chairman at the club’s Annual General Meeting last week. The Secretary of the club, Frank Bergin said “ There is no doubt that without the guidance, vision, wisdom and leadership shown by Thady the club would not be in the position that it is in today. We have been fortunate to have him as Chairman during the time our club has been seen huge success both on and off the pitch.” Donal Moynihan, manager of the premier team said “ While I understand that people can’t go on forever I like all the other members of the club am gutted that Thady has decided to step down. He was always available for advice and during our very successful season he was a calming influence on the coaches and the players as the pressure mounted in the run in to the title win. The incoming Chairman, Joe Ronan in his acceptance speech said “ To run a soccer club and to develop pitches and dressing rooms in the current climate is a difficult job but Thady has always worked tirelessly to promote the game and the club throughout the community and beyond. I hope that although you are stepping down from the top table that you will continue to offer advice to all of us, even if we don’t think we need it, and that you will continue to be a positive influence in the club.” The club will be presented with the Cork AUL team of the month this Friday night at a function in O’Callaghan’s Bar Coachford.